British imperial institutions often expressed English values. A good example is the Boy Scouts movement. It came to New Zealand in 1908 to strengthen a sense of the British Empire, and reflected the values of its founder, London-born Robert Baden Powell. 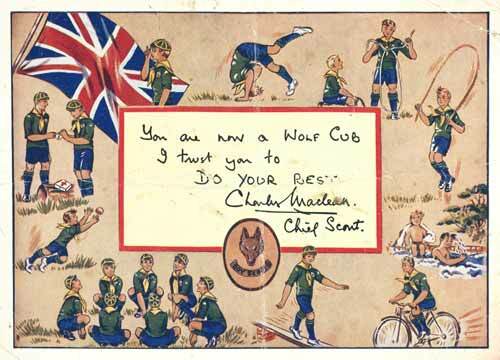 This Cub enrolment card of 1966 depicts the typical activities of the Cubs, including the saluting of the Union Jack.